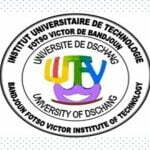 A competitive entrance examination for admission of 100 students into Level 1 of training professional program in Biomedical Sciences at the Faculty of Sciences of the University of Dschang for the 2019-2020 academic year. Date of examination: 31 august 2018. 1) The entrance examination is open to Cameroonians of both sexes who are holders of the Baccalaureat ( series C, D, or I ), the General Certificate of Education Advanced Level in at least three science subjects, and the GCE “O” Level, or any other equivalent certificate recognized by the Ministry of Higher Education. Biomedical Sciences program Entrance 2019-2020. 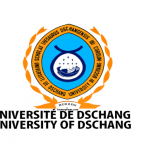 2) Candidates from other countries including CEMAC member countries who do not write the entrance examination but hold a scholarship from their Government or International Organization may apply for direct admission, which is contingent upon the number of available places and payment of tuition fees according to their status.